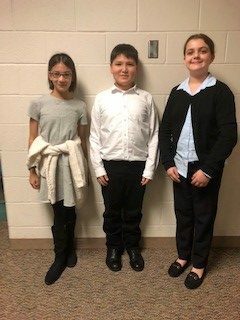 Connecticut Association Of Schools - Serving Students » The 2018-19 Middle School Debate Season is Underway! The 2018-19 Middle School Debate Season is Underway! On October 27, 2018, one hundred fifty-six middle school debaters, nineteen high school debaters, and coaches and parents from eighteen schools braved the elements and traveled to Glastonbury to kick off the CT Middle School Debate League’s (CTMSDL) 2018-19 season with a scrimmage at Smith Middle School. Debaters combined into twenty-one teams of experienced debaters and thirty-six teams of brand new debaters to debate both sides of the motion: This House would include e-sports in the Olympic Games. Huge thanks go to the Smith community, led by John Rook and Antoinette Kisluk. Everett Rutan was superb, as always, as Tab Director. We couldn’t have done it without our high School debaters who gave up their Saturdays to serve as demonstration debaters, judges, workshop leaders, and directors of fun. Many thanks go to our coaches and parents for judging, timing, and leading workshops. The sponsorship of the Greenwich Branch of the English Speaking Union and Director Robert Whitby makes our events possible. Our first tournament will happen on Saturday, December 1, 2018 at Seymour Middle School. (Snow date is December 15th). Competitors should prepare to debate on both sides of the motion: This House would allow incarcerated felons to vote. For more information about the CTMSDL, visit ctmsdebate.org. Please contact jen posner ctmsdebate org with questions and suggestions.